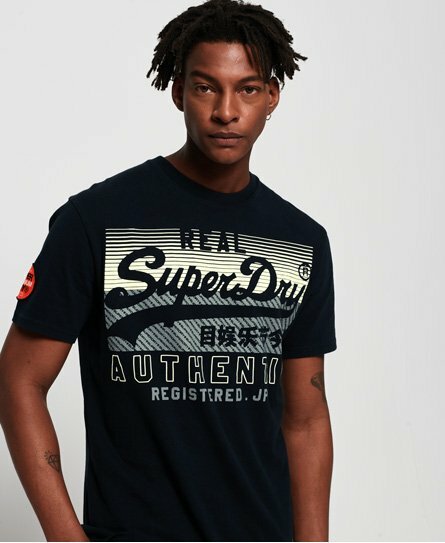 Superdry men's Vintage Logo reactive classic box fit t-shirt. Designed in a box fit for relaxed styling, this t-shirt features a crew neck, short sleeves and textured logo graphic on the chest. The t-shirt is completed with an applique badge on one sleeve and logo patch above the hem.